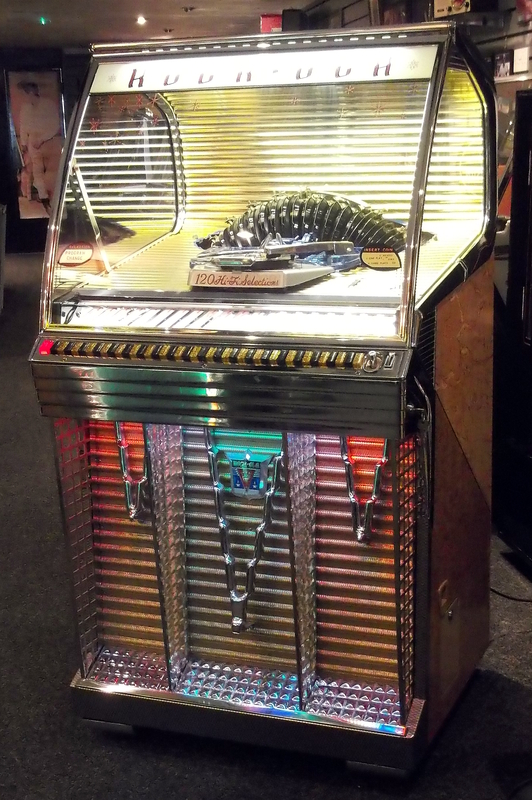 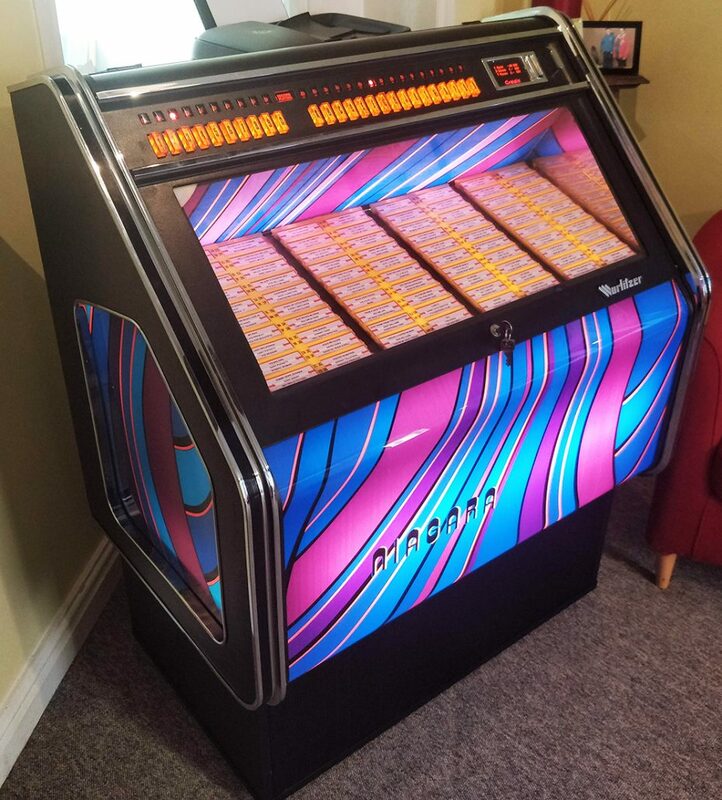 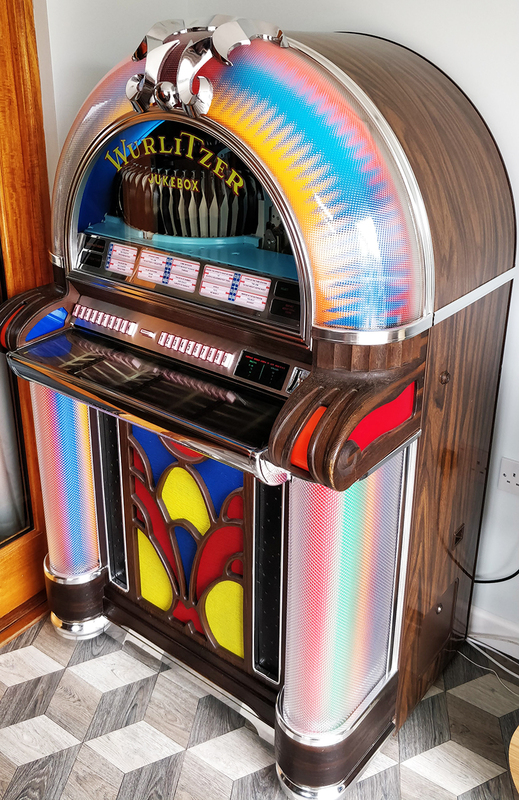 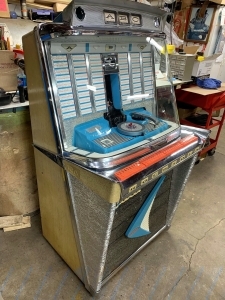 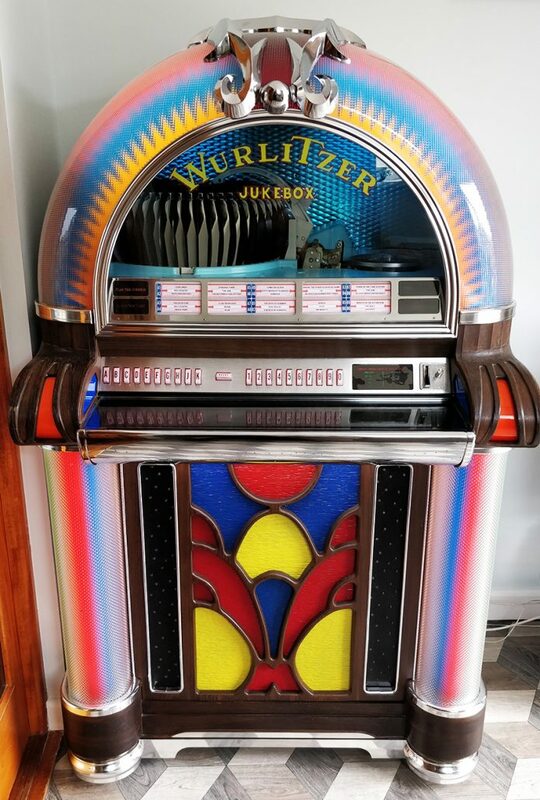 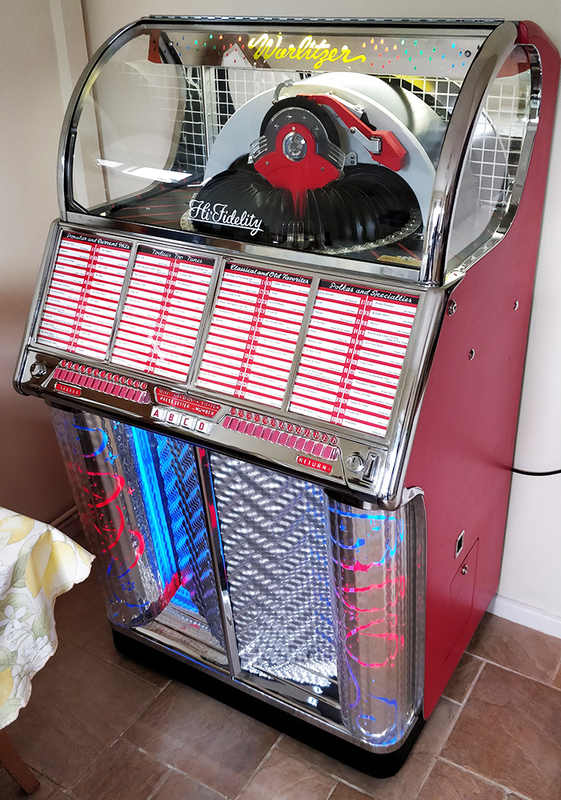 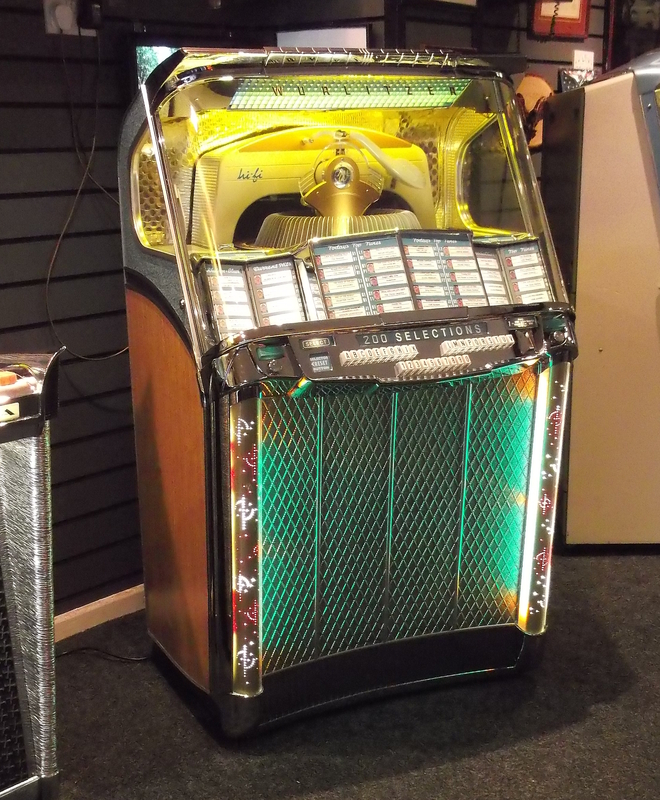 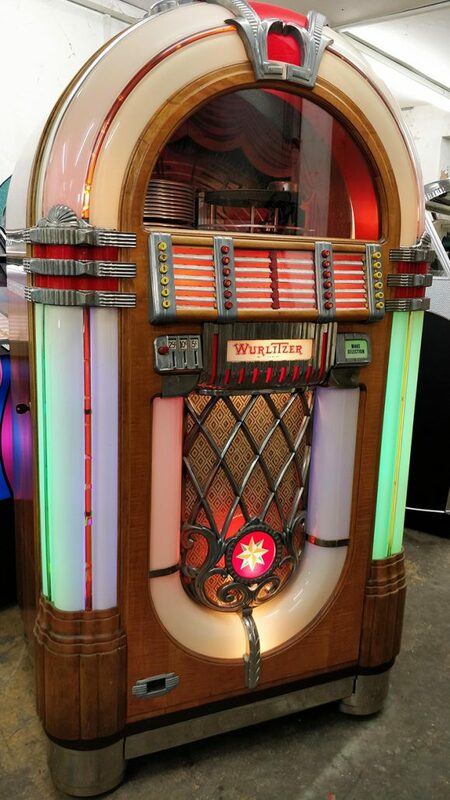 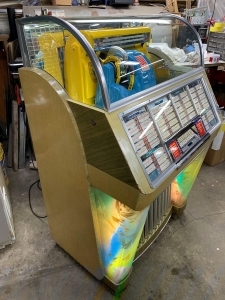 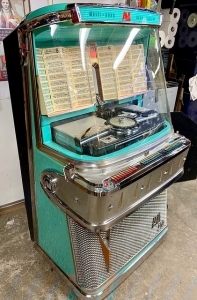 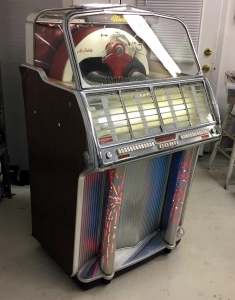 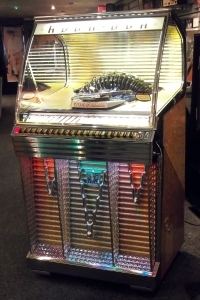 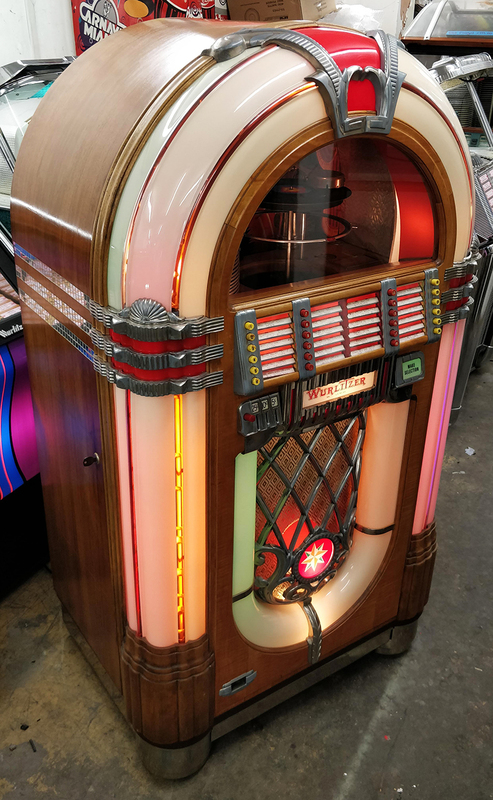 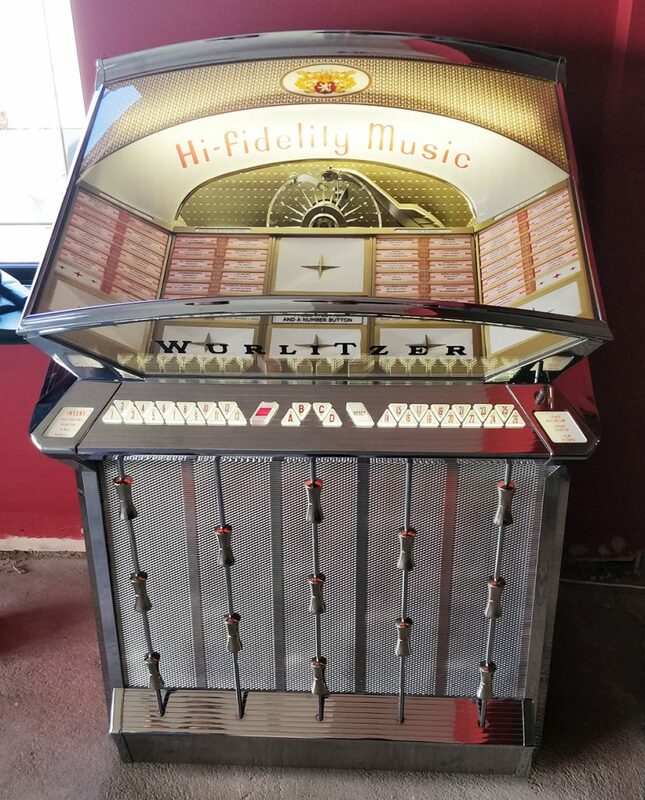 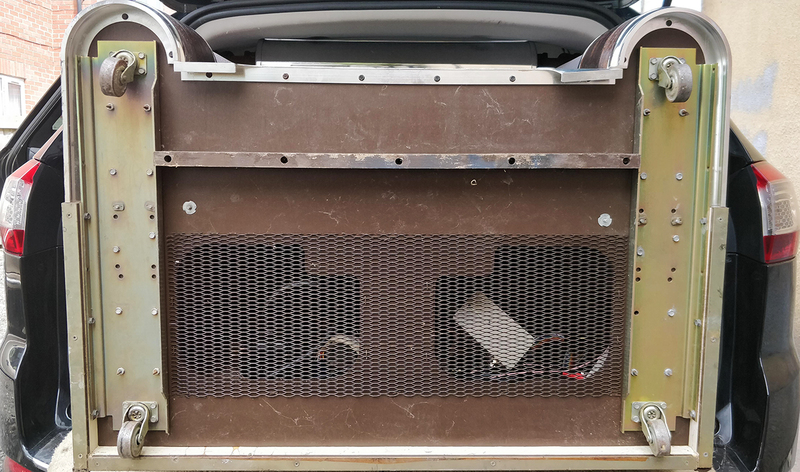 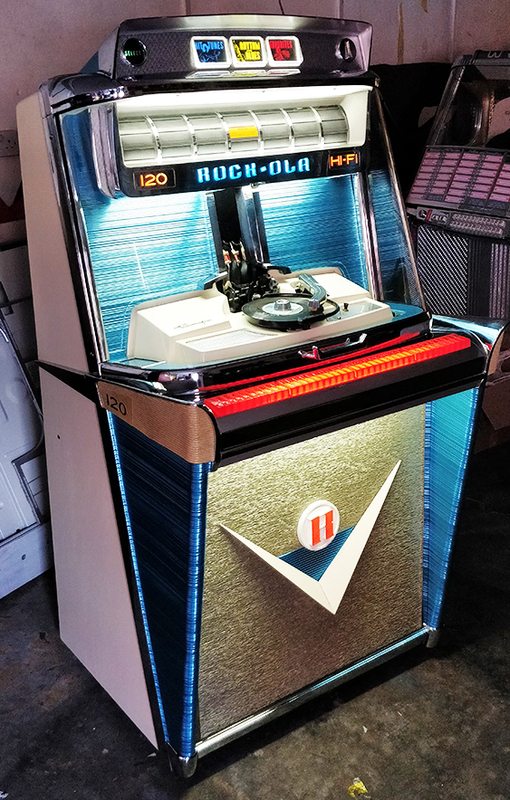 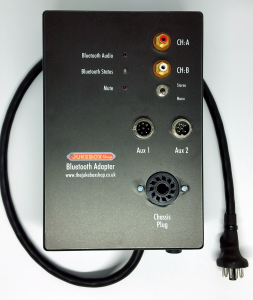 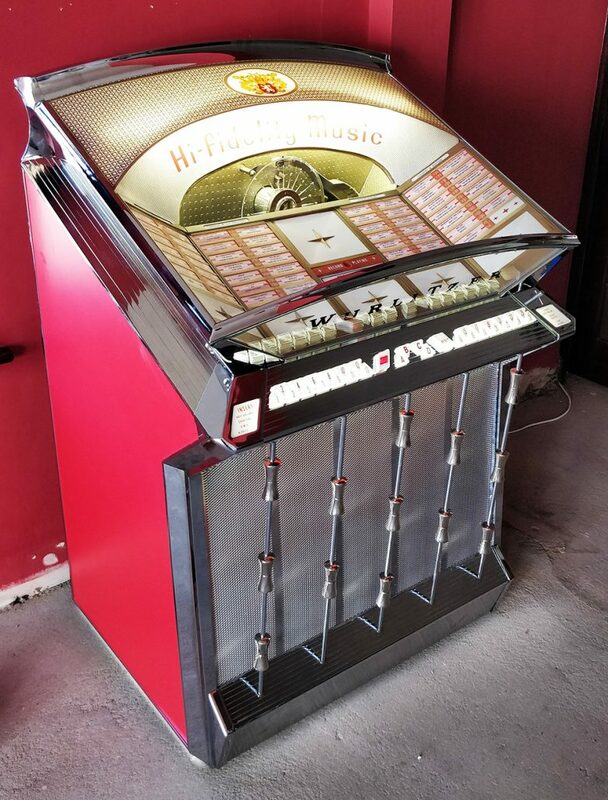 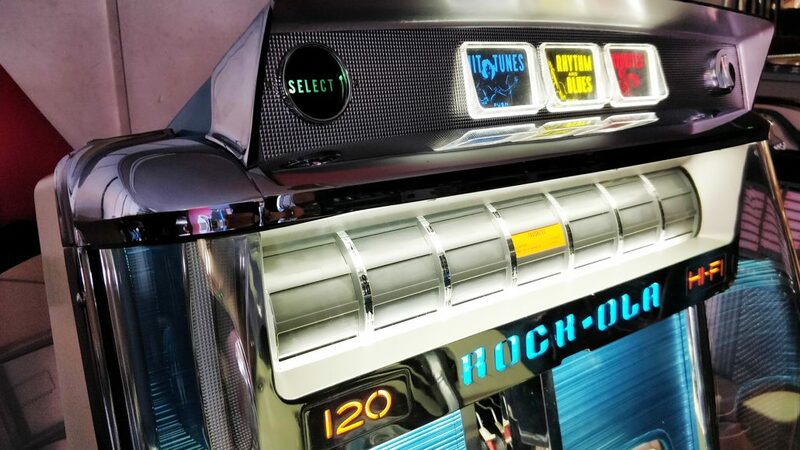 We have updated our unrestored jukeboxes page to reflect new stock that we are putting in our American warehouse ready for shipping early next year. 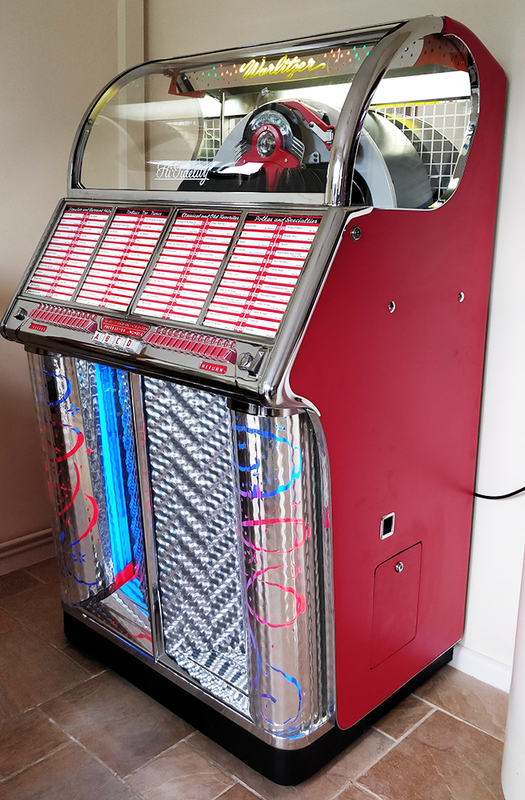 We’ve just completed this fantastic Tempo looking like it just rolled off the production line. 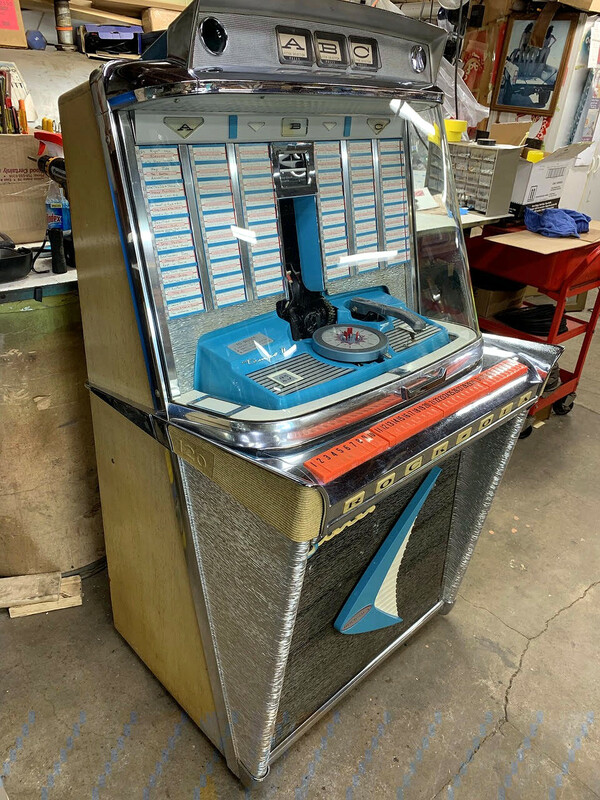 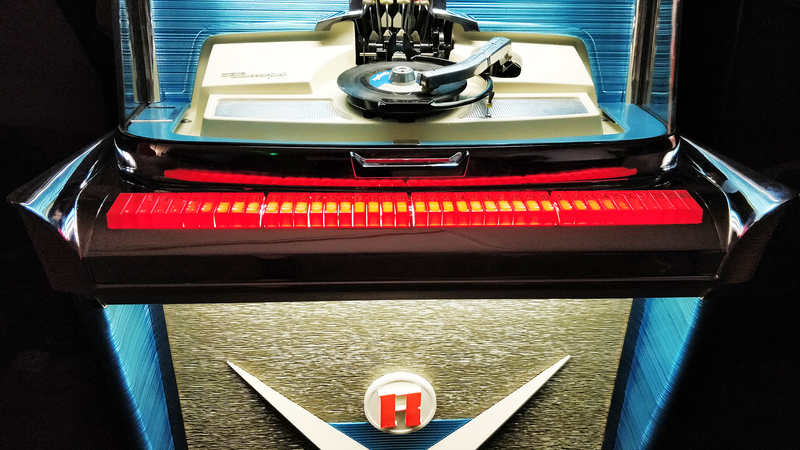 With tail fins growing ever larger on cars and windscreens already popular with major jukebox company designers, Rock Ola were bang on trend with their 1959 model using crossover styling from the automobile industry. So, if its 50’s, Fins & Flash you’re after, this Tempo has it all. 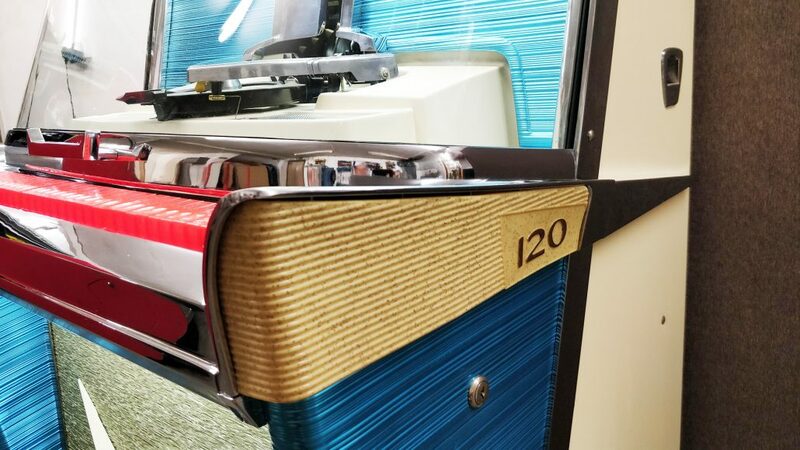 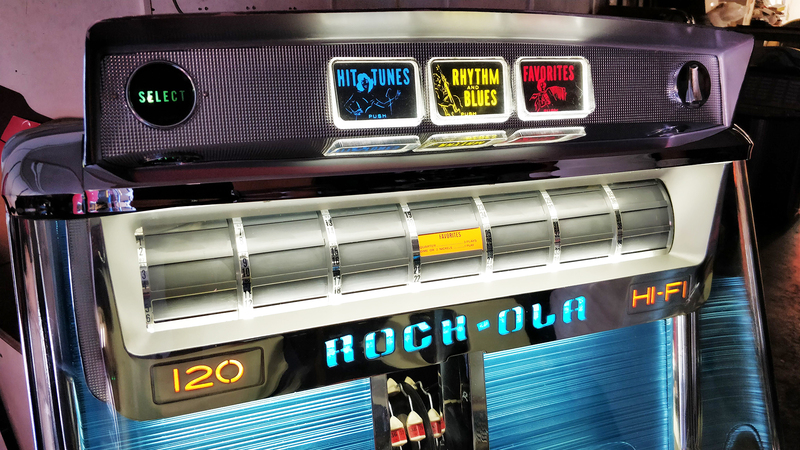 As with all Jukebox Shop restorations, the inside is as good as the outside. 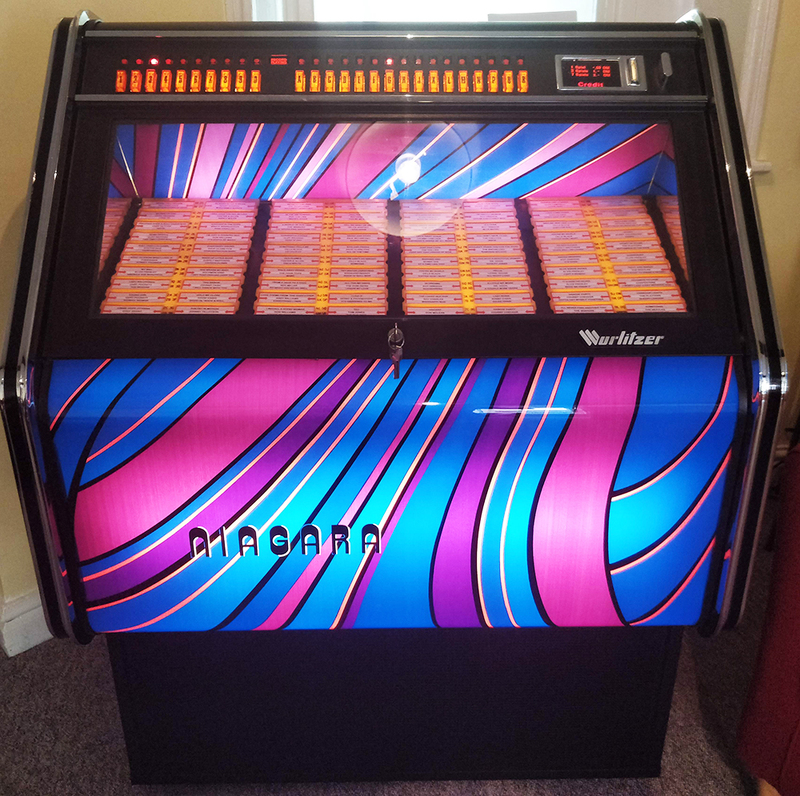 This model is available now, for more information or to arrange a visit, contact us now.